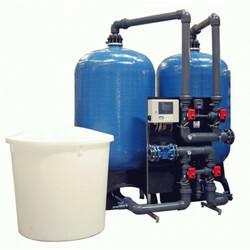 Manufacturer & Supplier of Water Softening Plant & Water Softener. Our product range also comprises of RO Plant, STP Plant and ETP Plant. Due to the above problems, it is required to soften the water and so the softening water plants are established which play a big role in cleaning this water. Looking for “Water Softening Plant”?